One of the best reasons to visit Camping Parc La Clusure is and has been – for over the last 20 years – the very extensive recreation and outdoor sports program. The activities organized by the recreation team in most school holidays will make sure you’ll enjoy an unforgettable holiday. In addition there is a large offering of outdoor sports, organized by the outdoor sports company Bounce Adventure you’ll enjoy challenges and adventures. It’s also worth the while to discover the unique hiking areas near the campsite. The entire offering of activities and facilities has been created to enjoy children, adolescents and adults. Making sure everybody has a great time in their holiday at Camping Parc La Clusure. 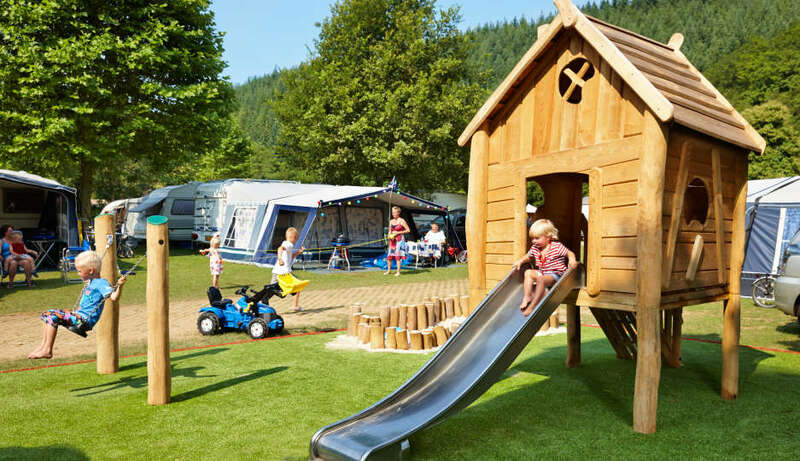 Over the last 18 seasons, Camping Parc La Clusure has built up an image as a campsite with a sensational recreation program offered in the school holidays. You might find yourself meeting cowboys, fakirs, prey birds, magicians, camels, clowns and belly dancers on your holiday. Climbing appeals to a lot of people, allowing them to conquer rock formations that seem impossible to cross. The Ardennes offer fantastic opportunities to climb and abseil. If you’re located on Camping Parc La Clusure, outdoor sports company Bounce Adventure will facilitate all climbing and abseiling activities for you. Camping Parc la Clusure is an excellent destination to pull up a bike and ride into the nature the Ardennes has to offer. The staff of outdoor organization Bounce, present at Camping Parc La CLusure, can tell you everything about the cycling routes in the area. You can pick both rough and easy routes, with paved roads or rougher tracks. Renting electrical bikes has also become very popular at Camping Parc La Clusure. Enjoying an active holiday in the Ardennes, can be done in countless ways. People who fancy different sports enjoy the Ardennes for walking, mountain biking and fishing. The Belgian Ardennes and survival trips are a great match. Camping Parc La Clusure knows this and has created a cooperation with an outdoor sports organization located at the campsite itself. By doing so, they allow guests to have all information about participating in outdoor sports activities at hand. The Belgian Ardennes are very suited to walk. You’ll walk through forests and fields while passing beautiful pathways and rippling rivers. Let the great nature and breathtaking views surprise you. The vast fields and authentic Arden villages will give you a completely different perspective of the Ardennes. Every season make the environment and its forests a different atmosphere.